As we said in LESSON #1 and have frequently restated since, the Universe and everything in it are composed of energy. Swirling, constantly shifting energy which assumes complex patterns in reaction to our thoughts and emotions, creating a false illusion of solid matter. In every moment of our life we shape this energy unconsciously -it takes its form from us. In magic we learn to shape it consciously. Our body is composed of energy, as is our soul. Like the shell of a snail, the body is an emanation of the soul, even as the soul itself is an emanation of the Goddess. Thus the Divine energy of the Goddess is always present at the center of our being, and we can learn to consciously access it through the practice of psychic and magical arts. When we look at the physical form of a person or thing, we are seeing only the external shell of the soul, which conceals much more within. By accessing the inner being -the soul- we can greatly affect the seemingly solid exterior. 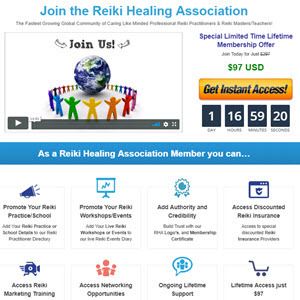 HEALING: Energy healing is used to promote spiritual or emotional healing, or to aid in physical healing. In healing we access a persons energy and remove blockages or "negative" energy, and inject positive, healing energy. In the hands of an accomplished practitioner energy healing can be as complex and as precise as a physical surgery. BLESSING: As previously discussed blessing is an injection of Divine energy meant to strengthen spiritual connection or foster spiritual opening or growth. COMMUNICATION: Energy can be used to share communication as well -a message or messages are placed into energy which is then used to communicate it directly to the recipient, bypassing the conscious mind entirely. This is how we receive messages from the ANCESTORS or SPIRIT GUIDES. We can also send information in this way as well. With any of these methods of energy transfer the recipient may or may not have a conscious reaction to the event. Some people will feel the slightest variation in energy, while others will not feel even the strongest energy work. It depends on how psychically open the person is, and how sensitive they are to energy. If you're doing energy work on a person and they don't feel it, don't let that bother you -it doesn't mean you're doing it wrong, it just means the recipient is not psychically able to pick up on it. Crystal Healing And The Power It Gives You. 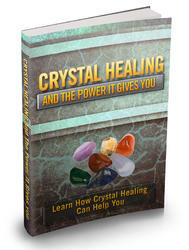 Learn How Crystal Healing Can Help You. Crystal therapy or crystal healing is a sort of vibrational medicine. Crystal therapy necessitates the application of crystals or gemstones to help healing.